I had an article published in The Age this week and the editing process took out some important points I was trying to make. I have had a number of responses via social media, the comments page on the article, email, and social media pointing out cases where the subsidy made sense for them. This includes cases where the tariff for energy is much higher, and where they are capped for how much energy they can feed from solar panels into the grid. This was exactly my point and so for completeness, I am publishing my original piece in full here along with my responses to some of the questions and comments I have received. Also, the article was unashamedly about the economic case for batteries and should be seen through that lens because the Victorian Government is touting an annual saving of $650 for people by installing such a system. I am actually a big fan of solar and battery technology but I am also a big fan of transparency and economic rigour in assessing systems. I was concerned that many people would just rush at the idea of “free government money” and not do the analysis. Of course, people are free to make their own decisions, I was just seeking to help them make a more informed choice. 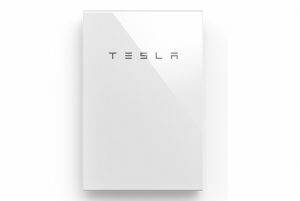 Let’s assume that you can buy an 11KW battery system for $9,676 (although it is likely to be more than that fully installed). You will be subsidised 50% of the cost, leaving your out-of-pocket cost at $4,838. The savings you’ll make from using a battery are impacted by many factors. These include how many times the battery is fully charged and discharged in a year; how much you are currently paid for selling your surplus power back to the energy company that supplies you (your feed-in tariff); what you pay for energy from the grid; the losses involved in storing and discharging the energy and the solar panel system that you have. If we have excess power from our solar panels and we store it in a battery and use it later (instead of buying power off the power company) then we save money, but less than you might think. Every time we put power in the battery we forsake the 10 cents we would have been paid for feeding it into the grid. When we draw power from the battery later in the day we save the 18.48 cents we would have paid the energy company. This means we can only count the difference of 8.48 cents as a saving. “People send me their data, and I’m seeing real world battery efficiencies of about 75% due to low discharge power relative to the standby power draw of the battery system”. Let’s be generous and say we have 85% efficiency. This means that I only get back 0.85 of a kWh of every kWh I put in. That means my actual saving is only 5.7 cents for every kWh I put into my battery. This is because my saving is reduced to 15.7 cents (85% of my 18.48 cents per kWh) I am still forsaking 10 cents for the kWh I put in the battery instead of selling it back to the grid. The reality is actually worse. There is no way I can put 11kWh into the battery every day unless I have a huge solar system. A huge solar system has lower returns than the one I have put in so that makes no sense. It would make the battery economics look better but reduce my solar returns by more than the improved battery returns. In our system (which is larger than most) we only sold 3.8 kWh per day into the grid in June and July because that was all we had spare. This is the most the battery would get on average during those 60 days. In the 45 days from the middle of April it was 8.75kWh per day on average. Let’s be generous and assume that those 105 days are the only days in a year when I cannot store 11kWh in my battery. Instead of 365 days with 11kWh per day I have 260 days with 11kWh stored per day and 105 days where my storage is 621 kWh in total. This means a reduced storage of 534 kWh during winter compared to the theoretical maximum. This further reduces my saving by AUD$30.44 (521 kWh x 5.7 cents per kWh). Now my total savings are only $199 (rounded up) for the year. To achieve that saving I had to spend $4,838 so it takes me more than 24 years to get my money back. As money in the future is worth less than money now because of inflation, the picture is even bleaker If we do an internal rate of return calculation on the investment (which allows for the time value of money) over 15 years then I get -5.51% return. That is right. I am losing money on the investment, not saving money. Let me put that another way. If I buy this battery and the government pays for half of it after 15 years I have $2,985 in my pocket but I paid $4,838 so I am still well behind. If I had to borrow the money, then I am even worse off because I have been paying interest all the way along. If instead, I put the money into my house mortgage and assume an interest rate of 4.5% then the internal rate of return is 4.28%. I now have AUD$7,885.94 in my pocket (the saved interest and the original money I have paid off my loan). I have been more than generous here because have assumed that there is no degradation in battery performance over 15 years which is ridiculous. I have also assumed a low-interest rate on our mortgage over 15 years which is highly unlikely. If anyone is borrowing money or has existing debt such as a car loan, or credit card debt that they are paying interest on, the result is far worse. The government seems to be subsidising people to lose money. That is a first I think. There may be individual circumstances where this is not the case and I would love to hear them. The big takeout here is making sure that you do your own calculations. If anyone out there wants to give me $4,838 on the basis that I will give it back to them over 24 years, please get in contact. That is the true “pub test”. p.s. I have done the same calculations on our solar system and the return is 12.41% — 14.26% depending on the production averages over a decade. This is why we installed it rather than paying that money into the mortgage. p.p.s To get a saving of $650 a year on the battery system we have to assume 11kwH every day goes into the battery and a power tariff of AUD$0.3081 with a feed in tariff of AUD$0.10. Any household in Melbourne with that tariff for consumption when the sun is not shining should change providers rather than buy a battery. I think the case for people with higher tariffs bears discussing a little further. It would be fully charged and discharged 260 days a year. The other 105 days it would receive 621 kWh in total. Therefore it would receive 3,481 kWh. So it would be used with a overall efficiency of 86.7% (as compared to getting 11kWh every day). If we assume an 85% efficiency of energy retrieval (better than many people that Finn Peacock says are getting in real life) then of that 3481 kWh then the house would get back 2,958.85 kWh. The 3,481kWh that did not get sold to the grid costs $348.10. Therefore to get $650 saving (as touted by the government) I would need to save $998.10. On 2,958.85 kWh that is 33.7 kWh. This assumes an almost perfect use case. That produces a 7.44 year simple payback period, ignoring any opportunity cost of paying off credit card debt, car loans, etc. If I plug that into an internal rate of return calculation then I get a 10.38% return. So, in that case, it is a good idea (that is not the same as saying the government subsidy is a good idea). The responses I have had from readers has been that they are on tariffs between 16.23c and 42 cents with a number placing at various points in between those. Each case will have a totally different result. Again that was my intent in the first place, for people to make a detailed, informed decision. It would be fascinating the understand how many people are on what rates in the whole of the state and certainly regional customers are generally on higher rates. My knowledge is not just mine though. I helped my sister in law and her husband assess their situation and they are now on all use tariff of 19.23 cents per kWh including GST. They are not in our suburb. Therefore I would suspect that large swathes of Melbourne are capable of having tariff numbers that are too low to allow batteries to make sense at the moment, even with subsidies. 1/ How has the author derived his figure of 5.7 c /kWh savings; 8.48 x 0.85 = 7.2 cents per kWh. There is also no allowance made for the ongoing increasing efficiency of newer solar panels. A: The calculation (which is in the original article but was edited out (see above) is I put 1kWh into the battery and in doing so I lose the 10 cents the energy company would have paid. When I go to pull the energy out again I only get 0.85 kWh. When I use that to replace energy from the power company I only save 0.85 x my tariff of 18.48 cents. That equals 15.57 cents so minus the ten cents I have lost from not selling my energy to the power company I have only saved 5.7 cents. 2/ There’s a bit of a gap here though — you’re implicitly assuming the house load never exceeds the solar production while the sun is shining. In practice the load fluctuates hugely since large appliances have a habit of operating cyclically or on an ad-hoc basis. (Simply put the kettle on and the house load could rise from 600W to 3kW for two minutes and then fall back again.) It’s quite easy for instantaneous load to temporarily exceed the production from even a large solar system; while at the same time, the base level or ‘standby load’ can be quite small. The other important thing about this effect is it’s potentially present anytime there’s enough solar production to exceed the standby load level — which is most days of the year. It might even be more pronounced on days of moderate rather than high sunshine (since there’s more chance of load alternately exceeding and falling below production), partly compensating for the fact that on such days there’s less capacity to supply evening load. A: This is true. However, I took the view that in most cases the temporary load spikes that occurred above solar generation that then returned to a level where the battery could still be charged would be relatively low in most cases. They also have no effect where the solar generation does not produce enough excess to charge the battery fully on a daily cycle. I also factored in no battery degradation over a long period. Given this was a newspaper article rather than a scientific paper I took the view that those would cancel each other out and would probably make the overall economic case worse. A: yes I did, and I triple checked that. 4/ Where did you get your energy deal. A: I used the government compare site here in Victoria. We are on a single, any time of use tariff up to 913 kWh per month which is fine for us given our solar system. Citipower: 17.06 cents per kWh for the first 30kWh used including GST. Given that average household use is less than 30kWh and would be even less for a solar panel household I would be interested to know how widespread this availability is. Regional customers have higher rates. 5/ What about solar plus batteries? A: As detailed above I am a big fan of the economic return on our solar system (with gov subsidies through renewable energy certificates). However, some readers responded that solar plus batteries made sense. The problem here is that they are two separate things. As I pointed out if I have a business making 30% return and another business making minus 10% on average they are making 10% but one is a good investment and one is not. 6/ There are other benefits with batteries other than financial. A; yes, that is true and all externalities should be taken into account. This article was just focused on financial returns.